DraperCo’s professional services concentrate on increasing an organisation’s effectiveness by improving communication, engagement and connection among its people. This workshop supports people who are in supervisory, management or leadership roles to use coaching skills as a tool for effective conversations. This coaching style of leadership makes one-to-one, performance conversations and team building more effective. All of these professional conversations benefit from coaching skills – just as being able to influence others can draw on these tools. We encourage people to innovate and take responsibility, tailoring programs to business leadership and values frameworks. Ignite Leadership Coaching provides a systematic grounding in the core skills, tools, adopting the right mindset and principles of leadership coaching. The rigour of the program, combined with the emphasis on leadership, prepares participants to work with people from any level of an organisation—from the shop floor to the board room. 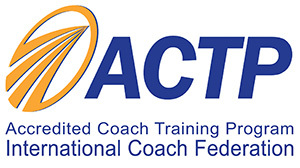 This two-day workshop is accredited by the International Coach Federation (as part of the Professional Course in Leadership Coaching). Participants can go on to further training and achieve an internationally-recognised qualification in leadership coaching, if required. Experienced Coaches can use this course to contribute towards their ‘coach specific training hours’ or CPD. Training takes place in the classroom over two days and via four group webinars over an eight-week period. This approach enables participants to practice their skills and embed them in their work environment – which provides greatest value for money and return on investment. Students also create a coaching circle with fellow participants to support the implementation of their coaching skills. Executive coaching is a one on one process tailored specifically to the needs of the individual. 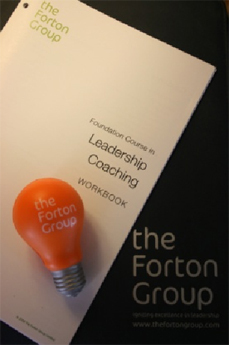 Successful Executive coaching has a framework so that it is targeted and effective. We utilise purpose as an underlying foundation - ‘Purpose’ is about life direction; a strategic element of the conversation. ‘Purpose’ covers a range of personal commitments: our vision, values, our authentic self and a sense of ‘drive’ or purpose itself. The role of the coach in the Purpose Step is to connect clients to their purpose and, at various times, remind them of it. It is rooted in humanistic psychology and works from the premise that people are healthy resourceful and creative. The coach’s role is not to provide the answers but rather the questions and a supportive, judgement free environment that motivates clients to explore options and get into action. Good coaching provides an environment in which people experience and receive unconditional positive regard. Trust is quickly built setting a foundation for successful exploration ownership, action and positive change. The coaching environment is supportive yet challenging and leads to sustainable change and growth for the individual. Speeding up the process of change beyond what the client is likely to achieve themselves. The benefits of executive coaching are felt by both the individual and the organisation through improvement effectiveness and performance. Numerous studies quote ROI’s for executive coaching from 500% to 1000%. Group coaching can be defined as coaching that takes place with two or more people simultaneously. However, the definition is quite broad and can include a number of different types of groups and a number of different ways to deliver the coaching. One key distinction of group coaching as compared to one on one coaching is the mutual support and motivation the client experiences being part of the group. It can be synergistic where the group produces outcomes greater than each individual part. Team coaching is most effective either when the team is first coming together or when it becomes derailed. The aim of the coaching is to assist the team to create and execute their own solutions. The responsibility of the coach is to the team process, to support achievement of goals, to observe the interpersonal relationships and linkages that impact the team’s work. By cementing a solid foundation the team will be more productive and generate better results. For more information about creating the foundation for a high performing team the following documents are available on request.